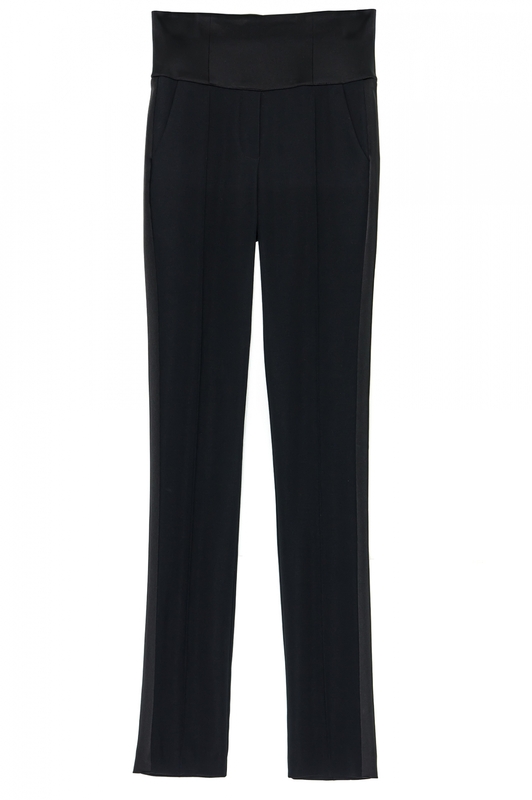 Super slim microfiber tuxedo trousers, very high waisted. 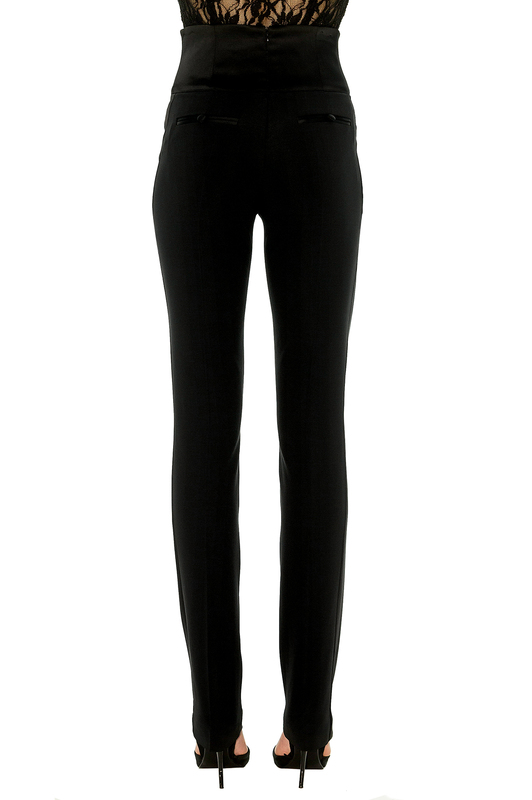 It will enlight your silhouette and will fit your legs thanks to its shiny tuxedo strip on each side. Its satin belt will refine your size. Wear it in total look with either its perfect classic jacket, or its short tuxedo jacket, or the fitted tuxedo jacket for a sophisticated look..
Color: our jackets, skirts and tuxedo pants are made from the same fabric from the same dye bath to have a perfectly matched set. Composition: 96% polyester, 4% elastane. Stefanie Renoma: A timeless collection borrowed from the men's wardrobe, largely feminized by its cuts worked so as to highlight your major assets.